Package Quantity:Total 120 pcs IC socket ,This kit is organized by size in a transparent storage case for quick access and protection. 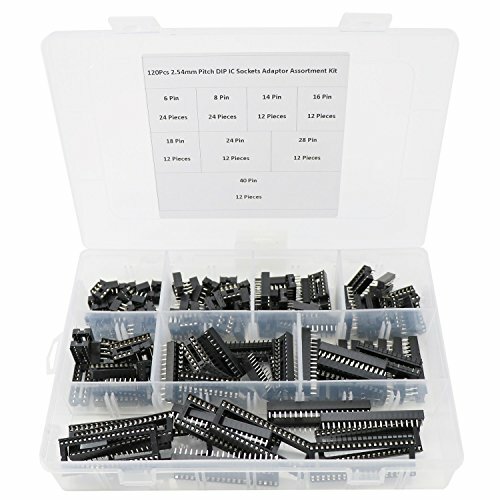 Please Note:This IC socket assortment includes TWO width,6pin,8pin,14pin,16pin,18pin 24pin,28pin are in same width:about 8mm;40pin are in same width,about 18mm!! !